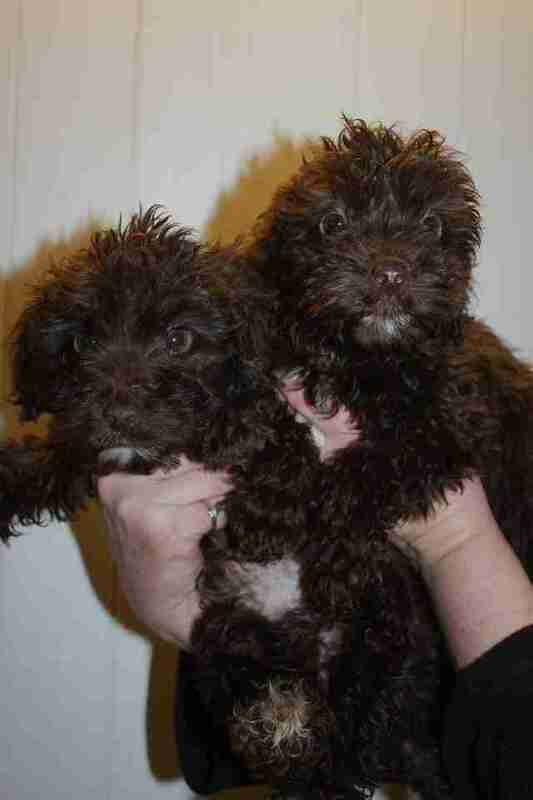 Rolo was rescued along with several other puppies and three adult dogs from a terrible puppy farm in 2013. All the dogs were taken in by the RSPCA, and when little Rolo arrived in their care, staffers were worried the poor puppy might not make it. A few of his littermates passed away shortly after being rescued, and it looked like Rolo might meet the same fate. 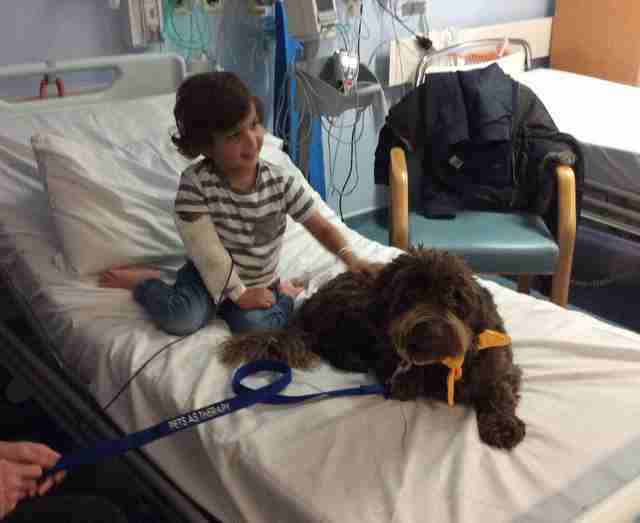 Despite how sick he was, tiny Rolo somehow managed to recover from his ordeal. Once he was well enough, he was put up for adoption, and taken in by a wonderful family with two kids who were over the moon to welcome him into their home. 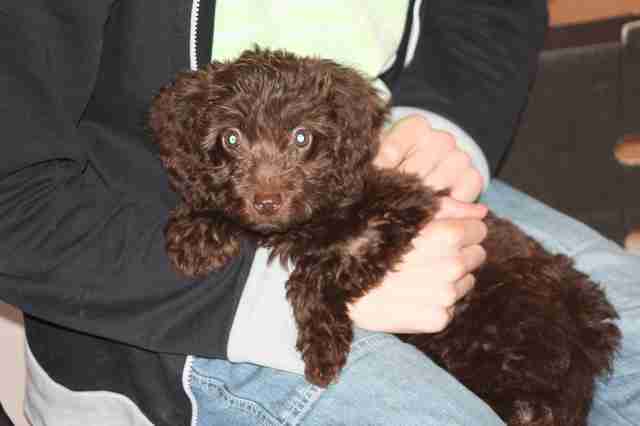 Despite being small and still a little sickly, Rolo began to thrive in his new home. As he grew and his personality began to develop, his family marveled at what a sweet, compassionate pup he was turning into. 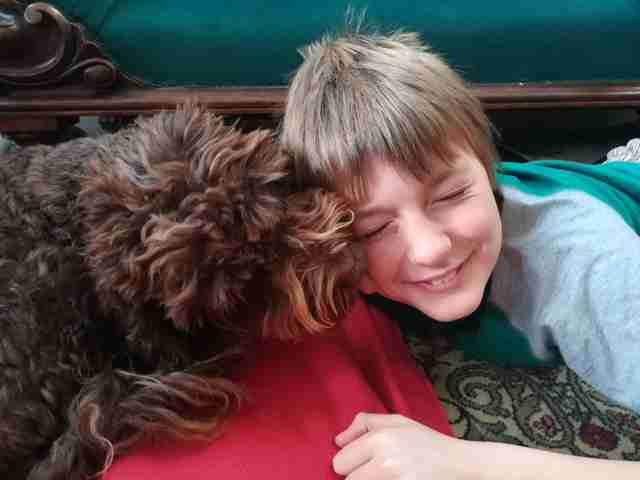 He loved absolutely everyone he came across and was always so gentle — and his family decided that, after everything Rolo had been through, maybe he wouldn’t mind giving back and helping others in need. Dean had always thought that if her family ever adopted a dog, she’d want to look into making him a therapy dog, and once Rolo came into their lives, she knew he would be the perfect candidate. 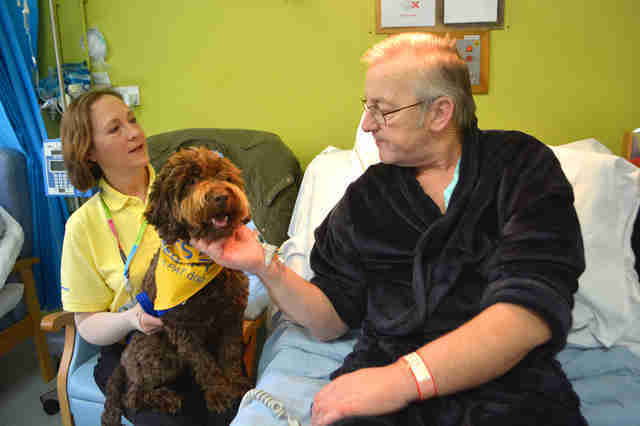 Rolo was trained as a Pets As Therapy (PAT) dog, and now he visits Southend University Hospital in England every week, helping bring a little comfort and joy to patients. 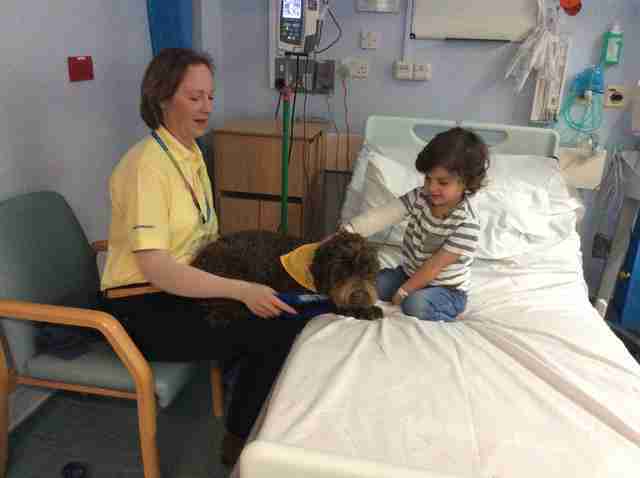 During his visits, Rolo always visits the oncology ward and the children’s ward, but he also tries to visit anyone who asks to see him. He tries to hang out with as many people as he can during his visits, and even brings joy to the people he passes in the hospital halls. 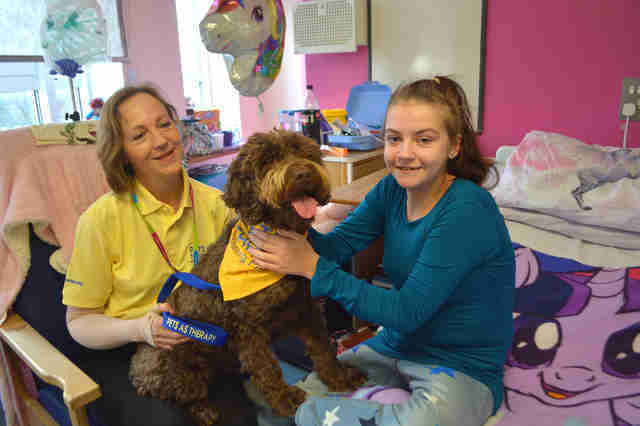 In addition to visiting the hospital, Rolo also participates in a reading program, visits residents at a care facility and occasionally acts as an ambassador for the RSPCA. He absolutely loves each and every volunteer activity he participates in, because he loves meeting and spending time with as many different people as possible. Rolo has come a long way from the sick little puppy he was when he was first found on the puppy farm, and everyone who knew him back then is overjoyed to see where he is now. To help other dogs like Rolo find loving homes, you can donate to the RSPCA.